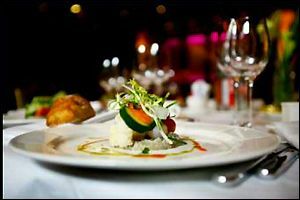 The fine dining restaurant The Lodge, located in Tahoe Donner℠, pride themselves in using organic meats and locally grown produce. They offer a delicious selection of entrées, prices ranging from $9 to $30. The Lodge is open during the evening in off season and winter season. Lunch is served during the summer season. 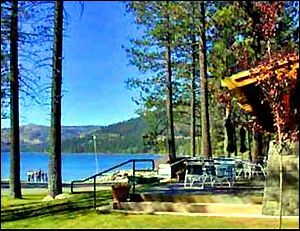 The Lodge is also a great place to host weddings, corporate meetings, or social events for Tahoe Donner℠ area real estate owners. Banquet facilities are available for small groups in the main dining area and for larger groups in the spacious downstairs banquet room. Outdoor events overlooking gorgeous Tahoe Donner℠ area scenery may be catered during the warmer seasons with larger events held on the "Patio" and smaller events held in the "Grotto". 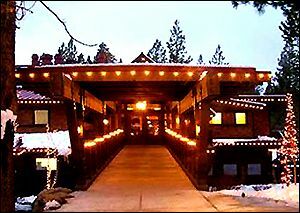 The Lodge hosts public events for homeowners in Tahoe Donner℠ and their guests. They host the Cadillac Ball in August; free wine tasting at vineyards such as Lone Buffalo Vineyards and Mutt-Lynch Winery; and live music, which is performed in their “Grotto” every Wednesday night at 6pm throughout the summer. They also host Happy Hour Sunday through Thursday 4pm to 6pm, and No Corkage Tuesdays on Tuesday evenings. 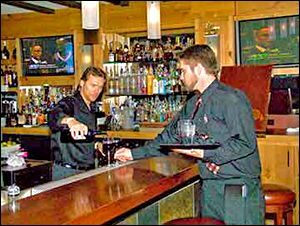 Other eating establishments and snack bars are located at the Beach Club and Marina, the Golf Course in Tahoe Donner℠, both Tahoe Donner℠ area Ski Centers, the Northwoods Club House (pizza), the Tennis Center, and the Ames Deli Mart (privately operated). The Lodge Restaurant, pizza at The Northwoods Clubhouse and Will's Deli Mart are open year-around. All others are seasonal. 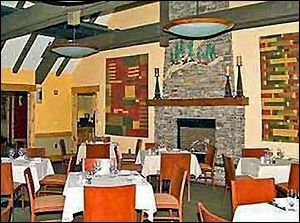 For further information about The Lodge Restaurant in Tahoe Donner℠ call (530) 587-9455 or click here.